How do we solve a problem like food supply? 30 Jun How do we solve a problem like food supply? As the global population rises, so does the demand on the food supply. What challenges lie ahead for agribusiness and the world? “The assumption that everyone will have something to eat is increasingly built into the rhythm of life,” writes The Economist. Food security ought to be at an all-time high. Advances in technology and changes to agricultural practice have led to a boom time: our capacity to produce food is extraordinary. Automation, genetic modification and mechanical processes combine to create more food for less work. As recently as 1900, 41 per cent of American workers were farm labourers; that figure now sits at 2 per cent. And in those hundred or so years, the capacity for production has rocketed skywards. In the 30 years between 1961 and 1996, global yields of maize and paddy rice increased by 50 per cent; global yields of wheat doubled in the same period. Those are three extraordinary decades of growth. So why can 2 billion of the world’s 7.3 billion citizens not find enough to eat? Famine and malnutrition still strike in vulnerable parts of the world, with Ethopia, Mozambique and Zimbabwe examples of three nations reliant on outside support to feed their citizens. As the global population increases to an estimated 10 billion people by 2050, the demand for food will only grow louder and more urgent. With more nutritionally balanced diets demanding eggs, fish, meat and milk, the world is preparing for a 70 per cent increase in demand on the food supply by mid century. It is a challenge to which we can rise. What is the future for food supply? There are identifiable challenges that threaten our ability to satisfy the growing demand for food. Rice and wheat production has stalled, with new strains and agrochemical solutions failing to increase yields. Have we reached the maximum capacity for crop production? There is less land available for new farming ventures. Have we over-farmed the land? Inaction on climate change will also eventually take its toll on agribusiness, with rising sea levels flooding low lands and changing temperatures making previously fertile land hostile to certain crops. Can we take meaningful climate action? The solutions lie in the creative application of technology and the sensible application of sound government policies. Already, we are seeing GM technology infiltrating global farming practice. This technology allows crops to experience the boom in productivity and nutrition that other crops – such as maize and wheat – have enjoyed over the last 50 years or so. While rice and wheat may have reached their production cap (and there is some evidence that they have not, in fact, reached this plateau), there are other crops whose potential has not yet been fully explored. 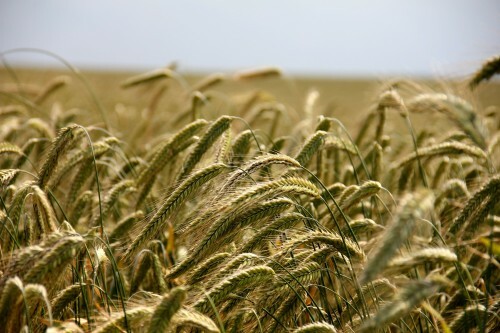 This technology, too, can be used to increase crops’ resistance to heat and drought – important characteristics if climate change is allowed to continue unchecked. However, before radical technology such as genetic modification is applied, there are opportunities for increasing current production rates of some of the planet’s less efficient farms. Educating subsistence and smallhold farmers about current agricultural practice – such as how and when to lay fertiliser – will go a long way to increasing production where it is most needed. If subsistence operations can be optimised to reach a production surplus, and if some of the surplus can be safely stored and the rest sold, then there are economic and nutritional benefits to this approach. Infrastructure such as reliable roads and rail would increase the likelihood of sale of this surplus, thus reducing waste while boosting the economic power of individuals in rural areas. Solving the issue of waste will go a long way towards satisfying that 70 per cent increase in food supply demand. A third of food is reportedly lost during or after harvest, which means we launch our global food supply at only 66 per cent capacity. Of that 66 per cent, consumers in wealthy countries discard an abominable amount. Approximately 20 per cent of groceries are thrown away by Australian shoppers. Mindless waste by the wealthy is compounded by unavoidable waste in poorer nations, where food is unable to reach consumers in the first place. Without good storage and fast transport, food can quickly become spoiled or pest-ravaged. By distributing agricultural knowledge and technology, we can tackle the imminent food supply problem at its source. But we must remember that 2050 is not the distant future – we have just over 30 years to get ahead of the 10 billion mouths we will have to feed.